Most of us know that this simply is not true. Plus, as they say, haters gonna hate. 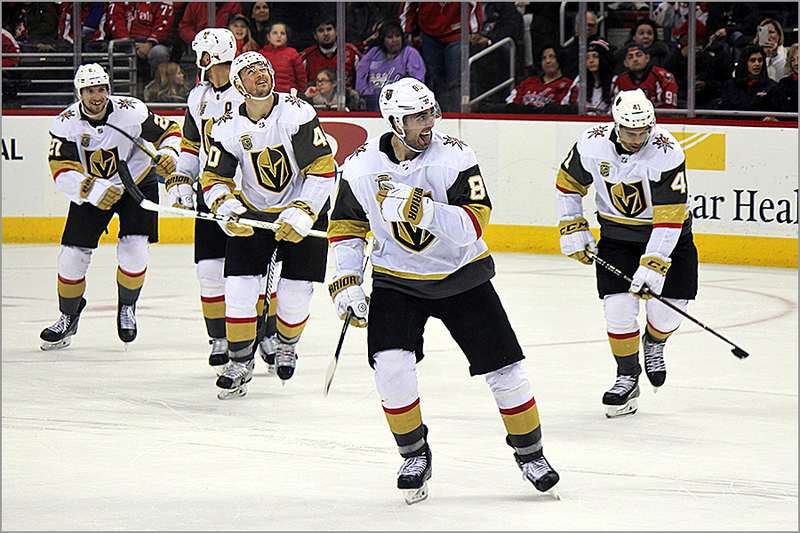 Here are four myths that naysayers have clung to about the Golden Knights — and why each one is wrong. 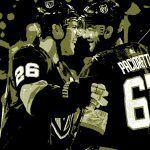 The Vegas Golden Knights paid $500 million to join the NHL. Each of the established 30 teams receive a cut of that money. In the past, expansion fees were usually split evenly by existing clubs, though certain teams were paid more if a new team infringed on their territory. If Vegas’ $500 million was split evenly among the 30 existing teams, that would amount to $16.6 million per club. Maybe the NHL itself pockets some of that, so we’ll just round down and say each NHL club got $16 million to give up one player they did not want. For example, the Los Angeles Kings lost Brayden McNabb, and got $16 million in return. The Philadelphia Flyers lost Pierre-Edouard Bellemare and received $16 million. The St. Louis Blues lost David Perron and got $16 million. You get the idea. 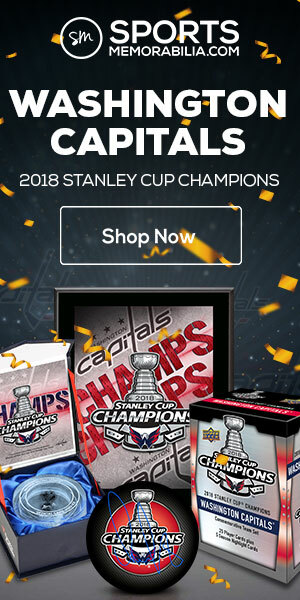 $16 million for a veteran player or a prospect not good enough to protect isn’t chump change, so the existing NHL teams didn’t give players away. In fact, half of the teams probably would have been happy to just outright sell those players’ contracts for $16 million each. 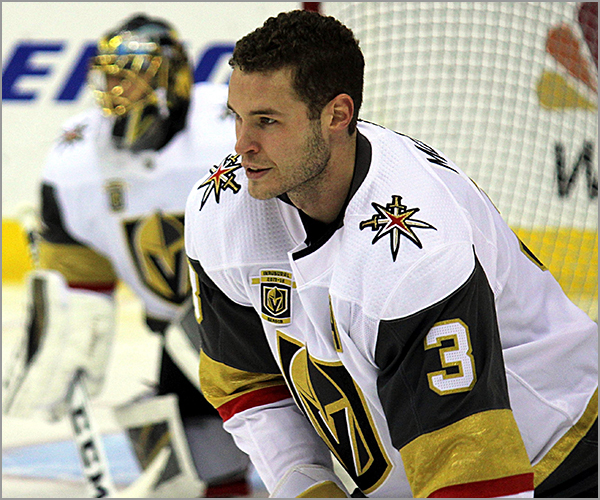 Other than James Neal and Marc-Andre Fleury, no one on the Golden Knights was ever considered a “star” before the 2017-18 season. Teams were able to protect their best players in the expansion draft, so guys like Sidney Crosby, Alexander Ovechkin and Carey Price were off the table. It is true that teams had to protect players with no trade or no movement clauses in their contract, so teams did have to expose some prospects — but only those with two years of NHL or AHL experience — or other players that they would rather protect. But is this really any different than if a team had to trade away a player because they were over the salary cap? The fact that the Chicago Blackhawks had to protect Brent Seabrook while losing Trevor Van Riemsdyk may still burn ‘Hawks fans a little, but most teams were able to keep who they wanted and move players they did not want. Take the Florida Panthers, for instance. Panthers’ GM Dale Tallon wanted to get rid of Reilly Smith and his big contract so bad that they gave him to the Knights for a fourth-round draft pick if the Knights agreed to take Jonathan Marchessault. Florida didn’t want to keep those two players, but did want to keep others, so it worked out well for both teams. 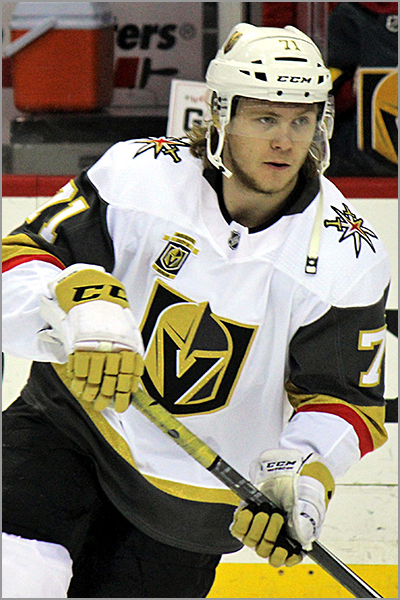 And then there’s the Knights’ leading goal-scorer, William Karlsson. The Columbus Blue Jackets gave the Knights a first round draft pick in 2017 and a second round draft pick in 2019 if they agreed to take Karlsson instead of Josh Anderson, Jack Johnson, Joonas Korpisalo or David Savard. Vegas also had to take the contract of David Clarkson, who is unofficially retired due to injury, so not everything about that deal was golden for the Knights. Look, it isn’t like the Knights got to cherry pick the best player, or best prospect, from each team. In fact, what Knights’ GM George McPhee did was wise; why take one player if you can have two players, or a player and a draft pick? This gave him assets to trade later, or to use to stock the Knights’ American League team, the Chicago Wolves. Depending on the year, teams were able to protect either one or two goaltenders in the expansion draft. In other years, it was less about protecting goalies, and more about offering up one with a certain amount of experience. When the NHL held its first expansion draft in 1967, teams could only protect one goalie. That’s how future Hall of Fame goalies Glenn Hall, Terry Sawchuk and Bernie Parent ended up on the Blues, Kings and Flyers, respectively. That changed in the expansion drafts held in 1970, 1972 and 1974. Established teams could protect two goalies, and the new teams suffered because of it. 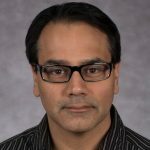 In 1991 and 1992, teams only had to expose a goalie with just one game of NHL experience, but could otherwise stockpile as many good goalies as they wanted. The rules for goalies in expansion drafts got a little more convoluted when the Nashville Predators (1998), Atlanta Thrashers (1999), Columbus Blue Jackets and Minnesota Wild (2000) joined the league at the end of the century. But at least those teams were able to draft experienced goaltenders like Mike Dunham, Damian Rhodes, Ron Tugnutt and Manny Fernandez instead of career minor-leaguers such as Scott Sharples, Darryl Gilmour, Roch Belley or Dave Gagnon. Point is, teams didn’t always get to protect two goalies — and really, should the Canadiens or Black Hawks of the 1970s been allowed to protect two goalies if Ken Dryden and Tony Esposito were going to start most of their team’s games, anyway? Plus, having an experienced ‘tender between the pipes can mean the difference between surviving and folding. The Knights did get a quality goaltender in Marc-Andre Fleury because the Pittsburgh Penguins couldn’t protect both Fleury and Matt Murray. But the Pens also offered the Knights a second round draft pick if they did take Fleury instead of a skater, so what was McPhee supposed to do — not draft Fleury? 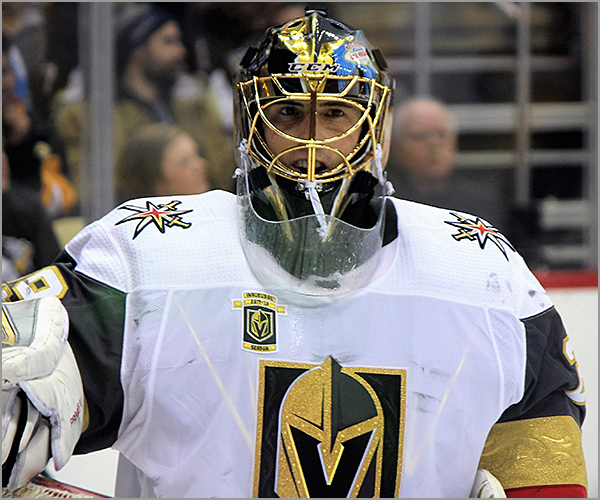 Backup goalie Malcom Subban was claimed off of waivers from the Boston Bruins, while depth goaltenders Maxime Lagace and Oscar Dansk — both were available in the expansion draft — were signed by the Knights as free agents. The only real benefit of this “unfair” rule was that the Knights got Fleury. But if the Penguins really wanted to keep Fleury, they could have given the Knights incentive to select someone else in the expansion draft, right? Oh, and even though he’s had a stellar season, Fleury hasn’t scored any goals for the Knights. In other words, having solid goaltending is great, but it can only get a team so far. 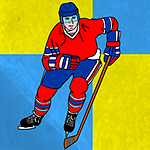 The National Hockey League tried like hell to keep John Scott out of the All-Star Game in 2016, even though the fans voted for him, so there is no way the very same league would “fix things” so that the Knights would make it to the Stanley Cup Finals during its first year — even thought a storybook season like that for the Knights would be totally awesome! Maybe “fans” — and I use that term loosely — need to realize is that the Knights made it to the top of their division and into the Finals for a number of reasons — but mainly because they played better than their opponents. That’s how teams succeed; by consistently winning the games they play. The Knights are made up of players cast off from other teams, so maybe they had an “everything-to-prove-but-nothing-to-lose” attitude; the desire to try hard, but no pressure if they fail. 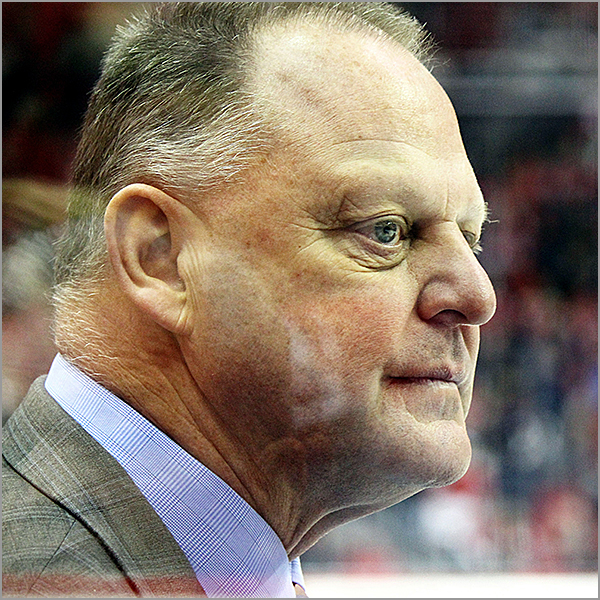 Head Coach Gerard Gallant was also a “cast-off” from his former team, the Florida Panthers, who unceremoniously fired him in the middle of last season. He deserves a ton of credit, too. Most knowledgeable hockey fans realize this. All season long, Gallant has rolled four “second lines” instead of business as usual: two scoring lines, a checking line, and a line that almost never gets to play because the players on it aren’t very good. Perhaps the strategy of four balanced lines will become a tactic adopted by other NHL coaches, much like the neutral zone trap was two decades ago. 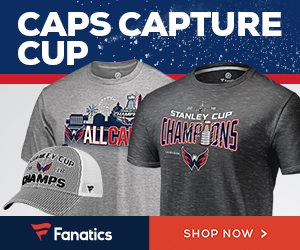 Anyway, the Vegas Golden Knights still have to win four more games by beating Alexander Ovechkin and the Washington Capitals before they are “handed” the Stanley Cup. Well said, Sal! If you want to win, you need to outplay the opponents, and they have, at every turn. Literally paying a team to make someone go away is a great motivator too, and they pretty much all have that, too. I’m so glad I’m getting to experience this run first hand. I don’t deny that the GM and coach did good jobs and deserve praise. They do, but to suggest this expansion draft was quite similar and not actually completely different then any previous expansion is to deny the facts. I believe this is the first expansion in the Salary Cap and free agency era and that has completely changed the playing field. To compare them to previous expansion GM’s and coaches and give them credit as if it was a level playing field is to imply those previous GM’s and coaches were almost incompetent and an insult. 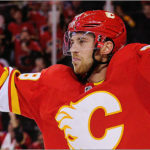 Early expansion drafts were lucky to get 23 players with NHL experience, most were older, 4th line and depth players, few if any were mid 20’s prime. Even later, still no Fleurys, Perrons, Neals, Smiths, Theodores, etc, etc. were exposed. $500M also bought slightly more favorable exposure lists then before. I believe a pretty good number of other current GM’s and coaches would have done a good job also. Yes, the teams got a share of the $500M, but way more important it set a minimum team price. Vegas got to draft 30+ middle of the roster players plus a few pretty good players due to Salary Cap. Vegas got Fleury, a SCup winning Goalie, and in a non Salary Cap era they would not have. 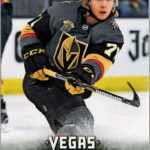 The NHL did want to break with the long history of cellar dwellers, and have Vegas be competitive, with maybe a shot at sneaking in the playoffs for a round max., but I think they miscalculated. Thanks for your comment — not sure why I didn’t see it before today. Anyway, I never said (nor did I imply) that past GMs and coaches were incompetent. Rather, it was the rules that the NHL set up for expansion drafts that were severely lacking. Like, in 1967, every time an Original Six Club lost a player, they immediately got to protect another player. So, they would lose the best player they offered up, but then get to protect the second-best player, lose their third-best player, then protect their fourth-best player on the list, etc. In other words, the rules were rigged against the new teams having any real chance of success. Look at the North Stars roster from 1967, or the Sharks roster from 1991, and you’d be hard-pressed to disagree.